The MSU Libraries began in 1855 as a 200-volume collection at the founding of the Agricultural College of the State of Michigan, the institution that, a century later, would become Michigan State University. The fledgling collection was actually the donated library of the Michigan State Agricultural Society, which had agitated for the creation of a state agricultural college from the day the Society was established in 1849. This tiny library was housed in a single reading room on the third floor of College Hall, the first classroom building at the College. In the school’s early years, students and faculty spent most of the day in the classroom and the fields, so the library was open only a few hours in the early evening. 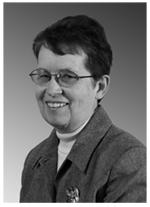 Student assistants were the very first library employees. 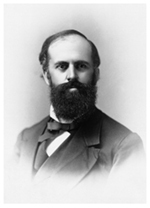 The first appointed librarian was Professor George T. Fairchild, an instructor, and later, professor, in English literature who added “acting librarian” to his duties in 1872. At the same time, the library moved to larger quarters on the first floor of College Hall and began to be used more heavily. EliasJ. 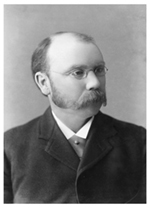 MacEwan, Fairchild’s successor as English professor, took over as acting librarian in 1880. The library then added 50 new subscriptions to journals in agriculture, botany, entomology, chemistry, engineering and literature. 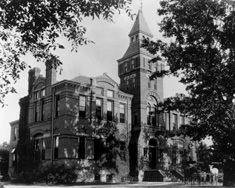 In 1881, the library moved to the Library–Museum Building, today known as Linton Hall, the oldest academic building on campus. By 1883, the college had grown to 300 students. 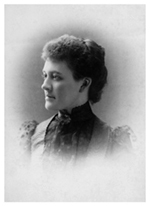 Mary J.C. Merrell, the first full-time librarian, estimated that the library, now open 50 hours a week, was visited daily by at least one-third of the student body. The first branch library was organized in 1888 when the Michigan Agricultural Experiment Station was established on campus. 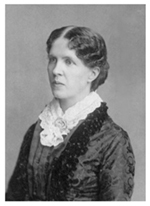 Merrell was succeeded by Mary Mouat Abbot and Jane Skellie Sinclair, both of whom continued her efforts to build the collection. 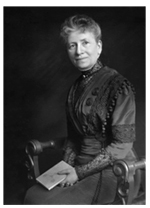 In 1891, Linda E. Landon was appointed to manage a collection that had grown to 15,000 volumes and was available to students 14 hours a day. The Cutter classification, an early method for shelving books by discipline, was implemented to allow the expanding collection to be browsed more easily. Over the next 25 years, Landon would oversee steady increases in the library’s holdings, which filled its rooms to the bursting point. By 1916, the collection had more than doubled and stack space had to be created by excavating underneath the building. A new structure devoted to the library was clearly needed, and in May 1919, the governor of Michigan signed a bill appropriating $300,000 for that purpose. Six years would pass before the new building was ready to occupy, but library services continued unabated despite the cramped quarters. 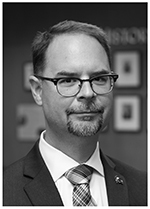 A second full-time librarian was hired in 1920, enabling the library to dramatically expand its public presence and advance the College’s mission of service to the people of the state. A “package library” system was developed: small focused book collections on topics of current interest, which were advertised to county extension agents, boys’ and girls’ clubs, and high school teachers throughout the state. Ninety-five package libraries were loaned in the first year, and the popularity of the service increased throughout the decade. The package library initiative would be only the first of many library programs and services offered to the entire state. 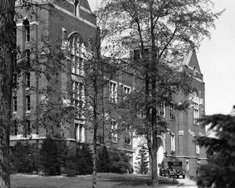 In 1925, the Michigan Agricultural College became the Michigan State College of Agriculture and Applied Sciences (popularly simply “Michigan State College” or “Michigan State”). In September 1925 the new library building opened its doors, and students flocked to the new location. “It is certainly a beautiful building, and we are proud of it,” Linda Landon wrote with appreciation in her annual report. “Students and faculty alike enjoy using the library for reading and study.” With ample room for collections to support new programs of study, and additional librarians to work with students and faculty, the library was ready to start a new chapter in its history. 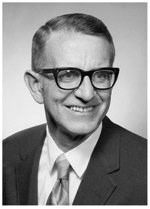 Jackson Towne, a graduate of Harvard and University of Illinois’ noted Library School, was appointed head librarian in 1932, when Linda Landon retired after 41 years of service. Landon Hall, a women’s dormitory built in 1947, was named in her honor. By the 1930s, academic libraries in the U.S. had developed to the point where quantitative measures and comparisons between institutions were becoming useful forms of evaluation. In 1933, for example, the library was ranked seventh in the nation for its holdings in botany and horticulture, in the company of such highly specialized institutions as the New York Botanical Garden and the Massachusetts Horticultural Society. 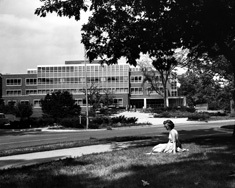 Today, MSU Libraries have cultivated more state-of-the-art collections, including the Turfgrass Information Center, Vincent Voice Library, Africana, and Special Collections, which contains premiere collections in comic art (one of the largest such collections in the world), radicalism, cookery, and the history of veterinary medicine. 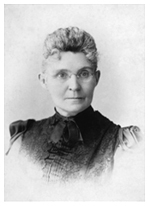 Towne’s tenure as head librarian ran from 1932 to 1959, which roughly coincided with the era of MSU’s growth and transition from a regionally known land grant college to a nationally recognized research university. Beginning in the early 1920s, MSU’s programs had expanded to embrace the full range of arts and humanities, social sciences, and international studies, in addition to the agricultural, scientific and applied technical fields that were its original emphasis. 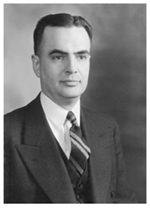 Following World War II, research and doctoral programs were added and expanded. By 1949, Michigan State had established doctoral programs in 30 fields and was enrolling nearly 19,000 students, and in less than 25 years, its library had outgrown its building. In 1950, planning began for a research library on the north bank of the Red Cedar. The new building, overlooking the Beal Garden, would seat 3,400 students and house a collection of one million volumes, while the old building would become the MSU Museum. The library had reached 450,000 volumes and, with Michigan State’s post-war expansion was now adding 50,000 volumes a year. A new building – the west wing of the current Main Library complex -- was completed in 1955, and the student body formed a long line to move books from the old library building to the new one. 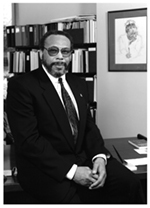 In 1956, Michigan State attained membership in the highly selective Association of Research Libraries, an organization representing the most important research collections in North America. In the 1970s, libraries began transforming their collections and operations to take advantage of newly developing technology. Card catalogs were automated; films and software joined books on the shelves; telecommunications allowed libraries to share information quickly and easily. In 1989, the MSU Libraries’ catalog went online, allowing users to perform searches in a few seconds that took hours with the card catalog. Since the early 1990s, the astonishing growth of the Internet has allowed libraries to dramatically expand the range of services and materials they can provide to patrons, and the MSU Libraries have taken full advantage of these opportunities. The Libraries’ online catalog and website have evolved into a portal through which our users can reach millions of online resources, from anywhere in the world they may be working or studying. In 2015, patrons accessed the Libraries’ website over 1,600,000 times, and retrieved over 3,900,000 full-text journal articles. Our online collection now also includes over 1.5 million ebook holdings, as well as sound, image, and video collections, statistical and data sets and geo-spatial resources. For on-campus users, the Libraries provide more than 500 public workstations and full wireless accessibility. 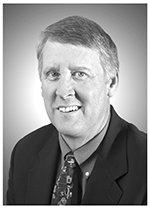 Our mission to serve the people of Michigan continues in the digital age. 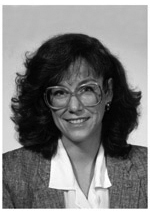 MeLCat, the statewide catalog and resource-sharing system, began in 2000 as a pilot project headed by the MSU Libraries. In 2015, the library loaned out over 68,000 items to patrons outside of MSU. The Libraries have also devoted significant effort to digitizing our rare materials so scholars and students everywhere may use them. Since 1999, the Libraries have been awarded more than $5.5 million from the National Science Foundation, the National Endowment for the Humanities, the Library of Congress, and other agencies to move this work forward. Since 2010, we have established ourselves as leaders in digital innovation, learning, and research. Thanks to a substantial budget increase, subject librarians built a collection that dramatically increased our standing in the Big 10 Academic Alliance. The Libraries also added digital expertise, such as data and digital scholarship librarians, as well as digital curation and research data management consultation services. The library now includes many collaborative study areas, including Selma Hollander Make Central, MSU’s premier makerspace that is open to all students, faculty and staff, day and night. The MSU Libraries are a leader in the world of research libraries, providing a comprehensive collection of full-text electronic resources in every discipline, online services that speed materials to scholars, and facilities to create the best possible learning environment for every student. 2015 - Library acquires the Rovi Media Collection from the Rovi Corporation, including 700,000 music CDs, 160,000 video DVDs, and 17,000 video games; the largest publicly-available collection in the U.S.
2018 – The Digital Scholarship Lab opened. It was built in partnership with the College of Arts and Letters.